on Thursday, April 11, 2019.
on Thursday, April 04, 2019.
on Tuesday, April 02, 2019. 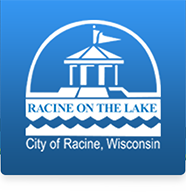 Its Election Day in Racine! Be sure to get out and vote! on Tuesday, March 19, 2019. Several states have ongoing measles outbreaks. Reminder: The MMR vaccine is the best way to protect yourself.